Along with two friends, I co-founded Grow It Green Morristown in 2009, and was Vice President for 9 years. The tag line ‘Creating Common Ground, Growing Community’ says it all. Visit www.growitgreenmorristown.org to see what we mean. We built the Early Street Community Garden first (2009). After volunteers cleared a deserted property, we built raised beds, filled them with topsoil, and began gardening. We hold classes on different garden topics for our gardeners and the public; we host movie nights, potluck dinners, and other activities. We started with 30 families growing there. With the help of the Town of Morristown and The Trust for Public Land, we were able to purchase the property in 2014 and start the expansion. We now have over 90 families with garden beds, and have designed and installed a community garden that is a model for sustainable open spaces in an urban area. We have a pavilion with solar panels, a central rain garden, and an apiary. Please see our web site for more info. Our largest project is our Urban Farm. 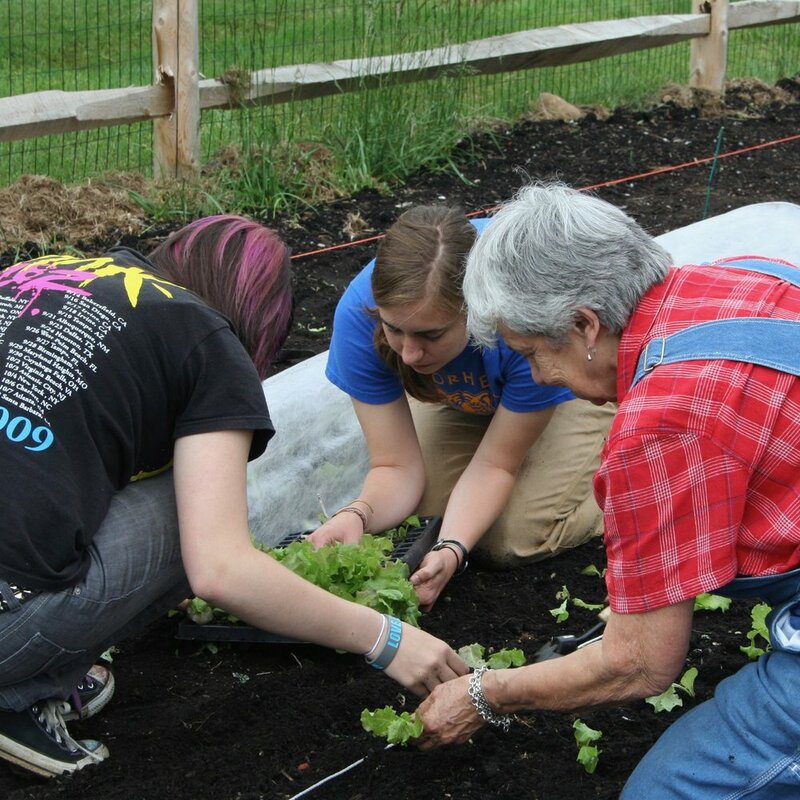 It is an organic agricultural teaching garden that serves the entire Morris School District and the community. Classes are held during the growing season for children of all ages, and during the school year there are field trips to the Urban Farm so children can learn where their food comes from! Produce is used in the school food programs, and is distributed through the Interfaith Food Pantry and The Community Soup Kitchen, or sold to the community. In 2014, we doubled the size of The Urban Farm. It has become a place of real community, and our growth enables us to host more classes and events, and donate more produce. With this expansive growth came the opportunity to hire an Executive Director in 2014. This step has helped us sustain continuity in our services and keeps us moving forward.